A bespoke ‘coming of age’ order for a soon to be teenager. A solid oak magnetic box, to hold a Swiss Army multi-tool. A perfect wood gift from a father to a son on a special birthday. 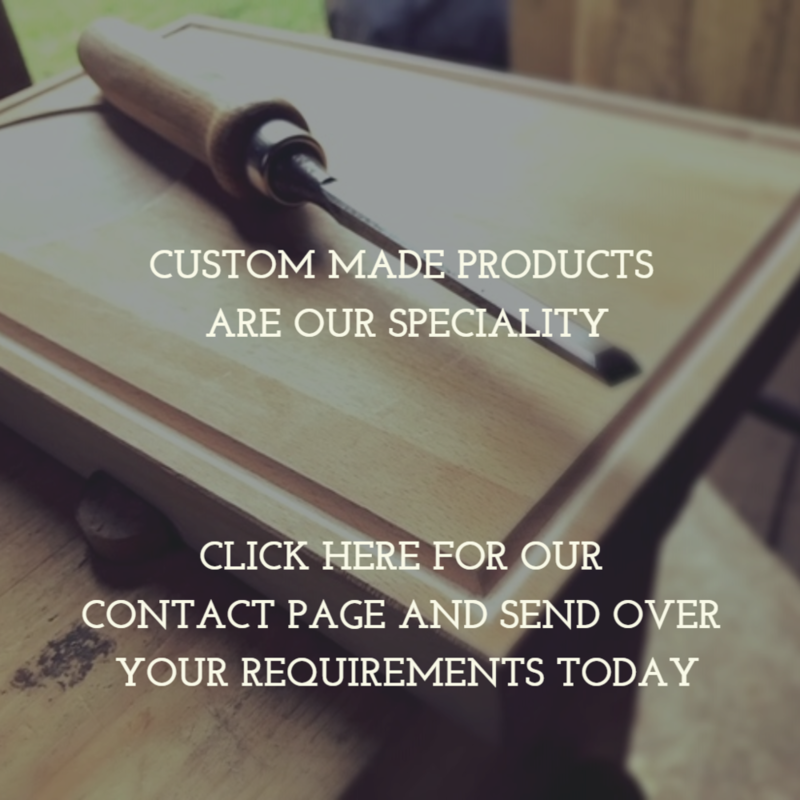 A custom made end grain chopping board. Handmade for a gentleman, who is small on space but big on style. Henry’s parents, requested a custom made small end grain chopping board, handmade and engraved for his toy kitchen. This will last him a lifetime and he’ll be able to pass it on to his own children in years to come. A custom made, solid beech gin pairing board. A perfect wood gift, made as a gift from a husband whose wife loves her gin. With a place for her glass to rest, and engraved for a special personalised touch. This was custom made for a gent who loves his luxuries, especially cigars and whiskey! A perfect 60th birthday wood gift for him, in the form of a solid oak engraved cigar holder. A custom order requested by his grandson. This beautiful board was created for a mum who’s children wanted to get her a wood gift for Mother’s Day to last a lifetime, in the form of a solid beech end grain butchers block with personalised engraving. Custom made to fit specifically in a special place on the kitchen worktop for her favourite teapot and accessories. This fabulous hallway storage unit was built with rustic chic in mind. Our customer wanted a rustic piece of furniture that would compliment her contemporary apartment, house the basket storage and sit her lamp and telephone on top. The colours of the wood are amazing and will change and deepen over time.